Dedicated to Geography: Mr. Vishal Singh is popular for his scientific approach while teaching Geography optional. He uses necessary teaching-aid-tools (such as maps, projector, animated geographical features etc.) in classroom for better clarity of concept and related subject matters. His Geography optional classes is fully centred towards UPSC syllabus, you will find varieties of example in geography topic(s) and its relation to contemporary society. Classroom Communication: Teacher explains the topic in detail and then train the students in cartography. This make them understand the subject-matter much easily. His key features is focusing on the integrative nature of Geography. While delivering a lecture on a particular topic, he is careful enough to depict the linkages between different topics and its contemporary relevance. Participatory Class: The nature of class is interactive and participatory i.e. students can ask related topic questions in the classroom. This adds value to the classroom coaching because it enables student to get their confusion dispelled immediately. Other to it, teacher explains about the changing trend of UPSC exam and how to tackle them. Study Materials: We provide exhaustive notes – printed and classroom. This is more than sufficient to fetch better marks in Geography optional subject. If required, teacher may suggest few other text books. Answer Writing: One of the important functions of coaching institute is to develop answer-writing skills of the students in coaching. In UPSC mains exam, answer writing plays the key role in scoring better marks. And here, the teacher plays a crucial role to train students about answer writing format and style of writing. Classroom/Unit Test: Unit test is conducted every Sunday. This is to assess the development of the students, what they have grasped between Monday to Friday in the class lectures. Experienced Teacher: Mr. Vishal Singh is highly experienced teacher with teaching experience of more than 10 years. His scientific approach of teaching Geography optional makes him unmatched teacher and appreciated by students alike. In brief, students will prepare for Geography optional for UPSC under careful guidance of an experienced and knowledgeable teacher.Study Support: One-year study assistance is given to the candidate officially, but this does not stop here. Our student can be in touch with the faculty during his/her process of preparation for Civil Services exam. After all teacher himself loves to maintain interaction with studious students and works in team for their final selection. Students can contact him via email, phone or if located in Delhi – at Elite IAS Academy centre. 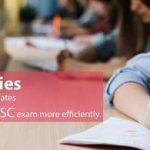 Tips to Boost Your Memory for UPSC Exam!